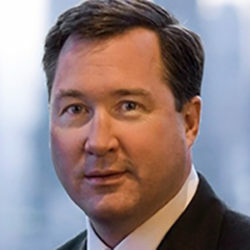 Kevin O’Brien is a Managing Director of CCMP Capital and a member of the firm’s Investment Committee. CCMP Capital is a global private equity firm specializing in buyout and growth equity investments in the U.S. in three targeted industries: Consumer, Industrial and Healthcare. Mr. O’Brien has been responsible for CCMP’s investments in Eating Recovery Centers, CareMore Medical Enterprises, LHP Hospital Group, Medpace, National Surgical Care, Infogroup, KRATON Polymers, Pinnacle Foods Group, La Petite Academy, and National Waterworks. In addition, Mr. O’Brien oversees the execution of debt capital markets transactions undertaken by the firm. Prior to joining CCMP in 2000, Mr. O’Brien worked in the high yield capital markets and banking groups at Chase Securities and Chemical Securities. Prior to that, he served as a Commissioned Officer in the U.S. Navy from 1988-1992 and is a combat veteran of the 1991 Persian Gulf War. Mr. O’Brien holds a B.A. from the University of Notre Dame and an M.B.A. from the Wharton School of the University of Pennsylvania.